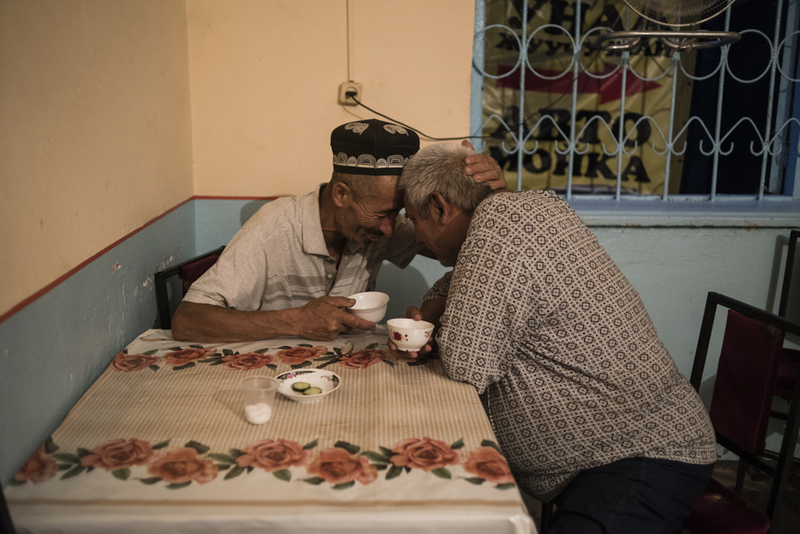 There was a time when Aravan, a bazaar town in a dusty corner of Kyrgyzstan’s Osh province, was awash in booze. 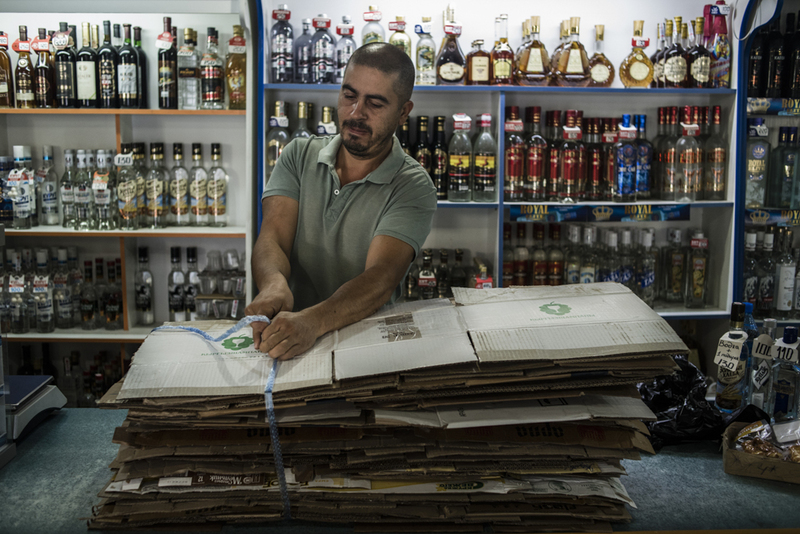 Shamil Iminov, a shopkeeper in Aravan, says the rise in religious piety has led to a sharp decline in the sale of alcohol. Children in Aravan reading from the Koran. The children study in state schools but take religious classes during summer. 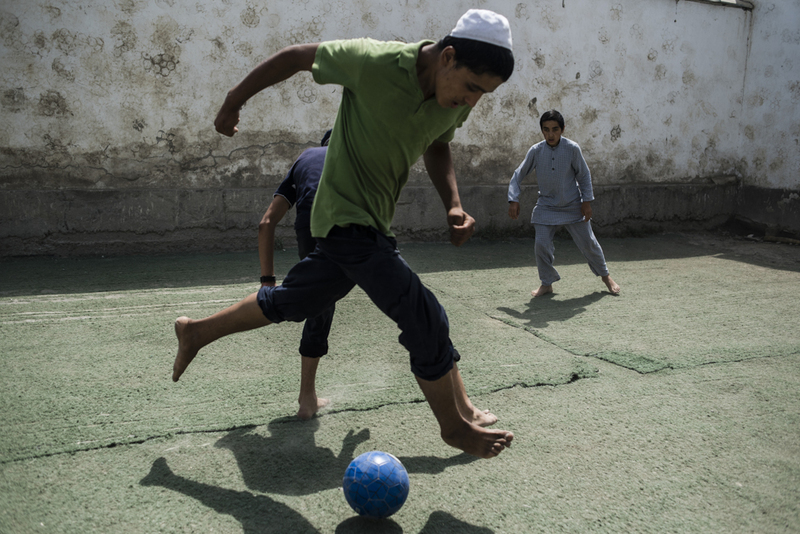 Boys playing at an Aravan religious school. 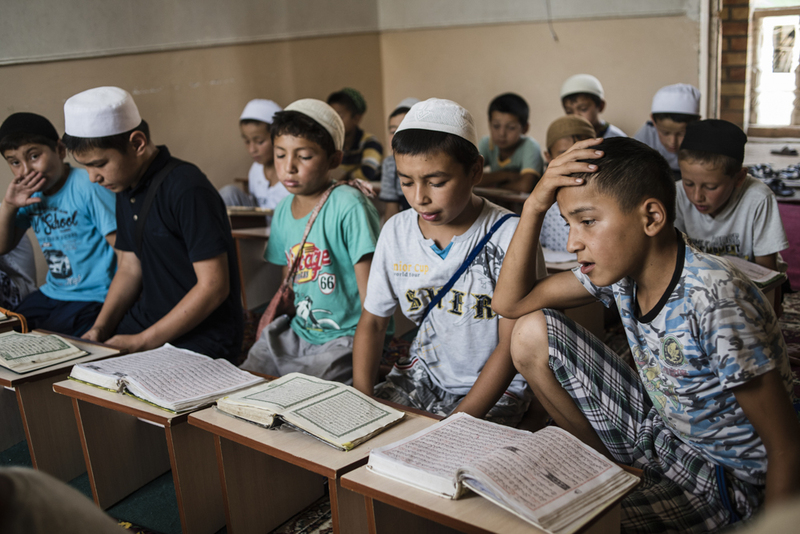 With Islamic piety rising, demand has increased for Islamic schools. Parishioners at an Aravan mosque performing evening prayers. Regular attendance has become a must for devout residents. Friends hanging out and drinking vodka at an Aravan teahouse that offers private booths for discrete consumption of alcohol. Residents of Aravan leaving a local mosque after prayers to mark the Islamic holiday of Kurban Ait. A guest bringing spirits to a wedding. Although alcohol is increasingly taboo, it is common to indulge on special occasions. 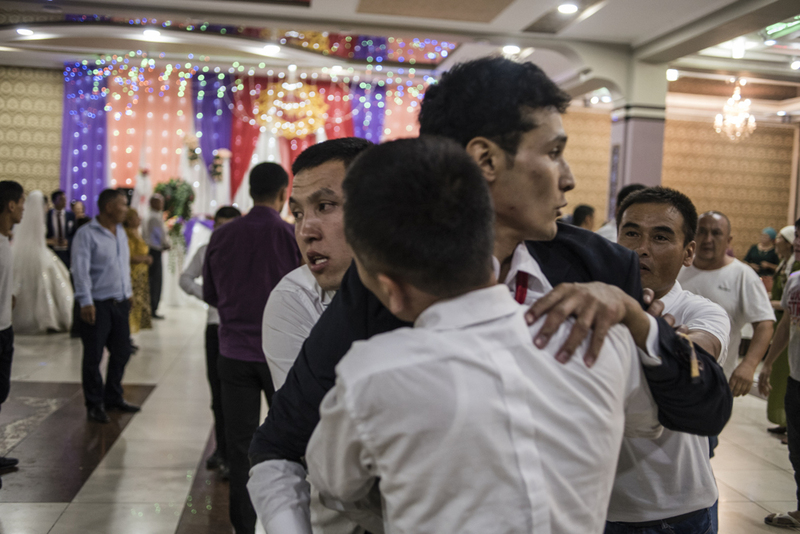 Guests at a wedding in Aravan drag their friend out of a brawl that broke out after a night of festive drinking. Patrons at a drinking hole in Aravan. Though increasingly frowned upon, drinking remains a popular pastime for older people. Elyor, a 30-year-old with a history of drinking, at an Aravan mosque waiting to embark on an Islamic-themed purification ritual. Abdulhamid, right, moving a teapot at a celebration in Aravan to mark the recent visit to Mecca by Kamal, center left. It has been years since it was so easy to get a drink. A surge of Islamic piety in the town has made indulging a taboo, and many once-busy purveyors of alcohol have been strongly encouraged — by various means — into giving up this lucrative business. Life in Aravan revolves around the central bazaar. Every morning, residents from the neighboring villages of Chek-Abad, Tepe-Kurgan and Mangyt flock to the market in an assortment of vehicles laden with fruit and vegetables. Many of Aravan’s inhabitants, who are mainly ethnic Uzbeks, work at the bazaar as taxi drivers, restaurant chiefs, porters and vendors. The turning point for Aravan occurred in 2009. The catalyst was the murder of an elderly man by a group of adolescents. The details of the murder remain unclear to this day, but what is known is that the victim was reputedly a heavy drinker who, on that fateful day, insulted a group of youngsters walking past, sparking the confrontation that ended his life. In the aftermath of the murder, “groups of community activists calling for the ban on alcohol formed in every mahalla (neighborhood), gatherings petitioning local authorities to impose restrictions on alcohol sale took place across the town, curfews on adolescents were imposed in several districts, and imams began to preach against abuse of alcohol in a more persuasive manner in mosques,” recalled Ulugbek Akhmedov, a 42-year-old Aravan resident who works as a porter at the Aravan bazaar and volunteers at his neighborhood mosque. 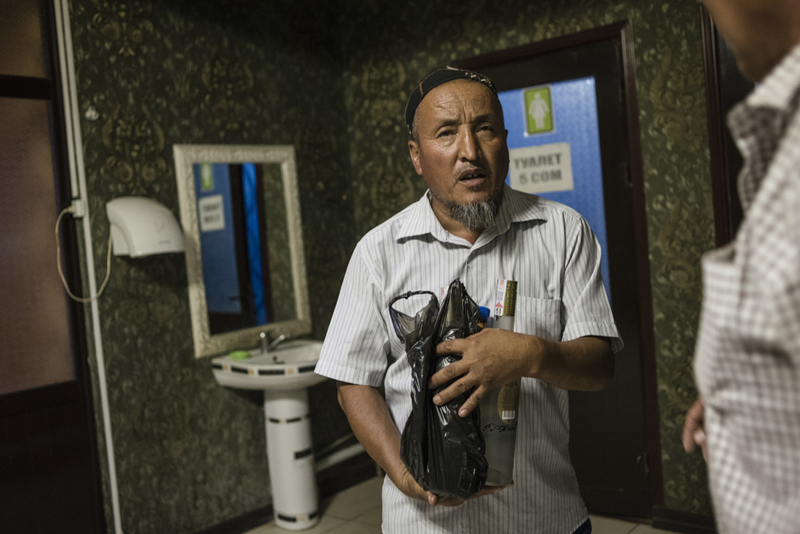 Akhmedov added that alcohol sales stopped not just in Uzbek neighborhoods, which have a reputation as being more pious and conservative, but also in Aravan’s Kyrgyz neighborhoods. According to Iminov and Akhmedov, the murder in 2009 was only a triggering event. The chief driver of change in Aravan was the rising level of piety that began in the mid-2000s. As the numbers of mosques quadrupled and those places of prayer swelled with believers, consumption of alcohol began to decline. Iminov said that compared to the mid-2000s, alcohol sales have fallen by half. Slowing demand has reduced the number of shops to only three as of earlier this year. “A new generation of people who were born after the collapse of the Soviet Union has come of age. These young people don’t drink alcohol, they are more pious than their parents, and they exert pressure on their peers to lead healthy lifestyles,” said Iminov. Even those few remaining shops selling alcohol are coming under growing community pressure to close. “I haven’t experienced direct pressure, but people who work for me [porters, vendors, cleaners] are constantly being pressured by their relatives, friends and neighbors to quit working for my shop. They are being told that what they are doing is haram [sinful],” Iminov said. Iminov admitted that some of his pious friends have turned their backs on him and that they are avoiding him in public. But economic imperatives still prevail. “I would be willing to quit selling alcohol if there were other job opportunities that paid decently. Unfortunately, there is not much work in Aravan that pays 50-70,000 som a month [around $1,000),” said Iminov, referring to the revenue he earns from selling alcohol. The pressure is not always so subtle. Faiza, another Aravan shop that sells alcohol, has caught fire twice in the past two years. Police investigations have not managed to establish a cause for each blaze, but the owners suspect that they were set as punishment for alcohol sales. 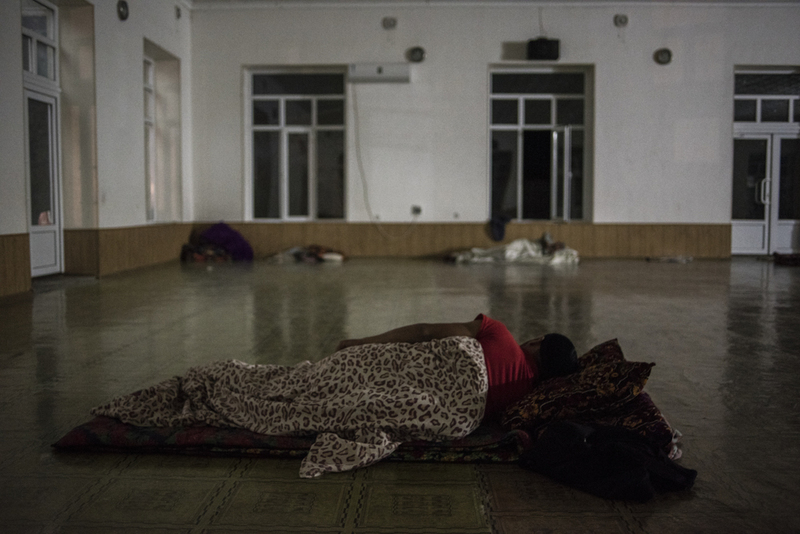 Hajimat, a 47-year-old trader in the bazaar, who only provided his first name, said he suspected the incidents are connected to what he called the local ‘vovchiki’ — a derogatory term denoting adherents of ultra-conservative Islamic ideology, a derivative of the word Wahhabist, or proponent of Wahhabism. Hajimat had to close down his own alcohol-selling shop in 2011 after his shop was torched. Again, the cause of the blaze was never officially established. “In the end, I was fed up with all that talk and closed the shop and started selling fruit and vegetables. I don’t make much money, but I don’t mind that,” he said. 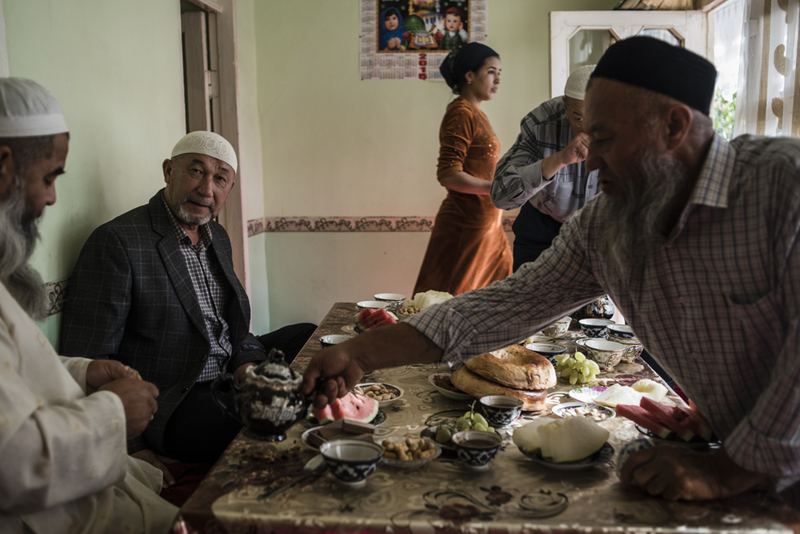 Akhmedov said family ties have become stronger because of the rising influence of Islam and that many former alcohol abusers are embarking on pilgrimages to Mecca. For Iminov, the fight against alcohol is potentially the thin end of a wedge. There is a still a solid contingent of middle-aged men who continue to enjoy a drink, albeit they do it discreetly. “Usually, these are people who lived most of their lives during the Soviet period. They drink because they are bored with retired life,” Iminov said. And while alcohol sales may be down in Aravan, business is still going strong in neighboring villages like Chek-Abad, Lenin and Tepe-Kurgan. Iminov said that his main wholesale customers are from these towns. 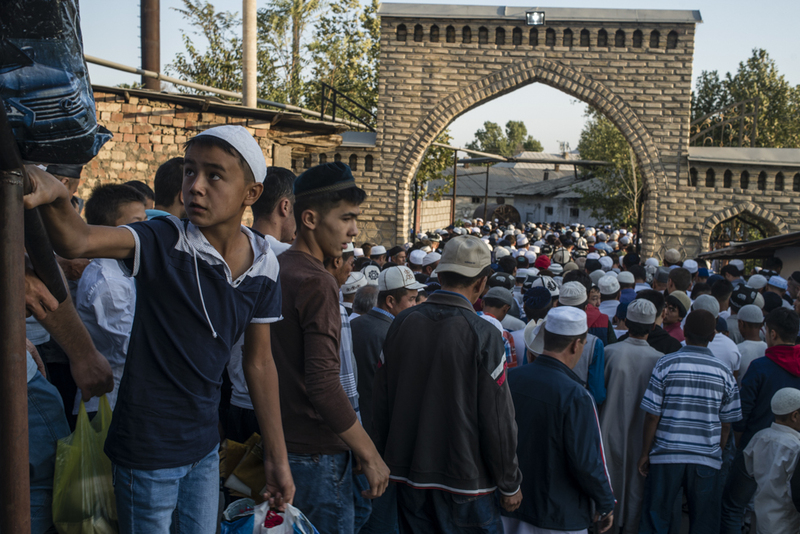 Otabek Abdullayev, a 39-year-old local truck driver who frequently visits these towns on business, told EurasiaNet.org that places like Chek-Abad and Tepe-Kurgan are geographically and culturally closer to Uzbekistan, where the state maintains a tight control over religion. “They love celebrations, and alcohol is usually in plentiful supply during festivities. 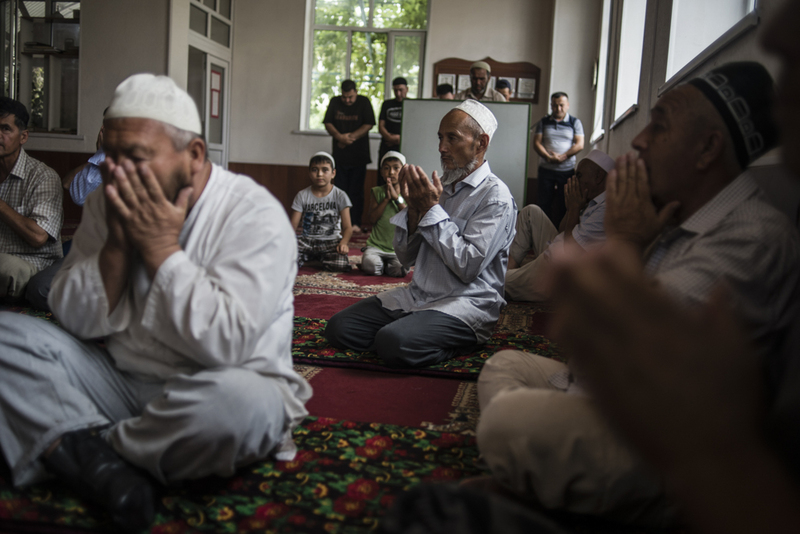 It is as if life has slowed down [in those towns], and they are still living in the Soviet Union,” Abdullayev said. Alisher Khamidov is a writer based in Bishkek. Danil Usmanov is a photographer based in Bishkek.